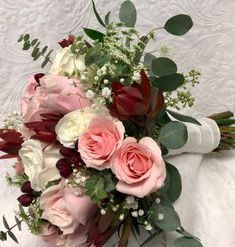 Bridal bouquet includes Pink Mondial and Playa Blanca roses, star blush spray roses, safari sunset, Queen Anne's lace and mixed eucalyptus designed by Flower Girlz Inc., Fort Walton Beach, FL. 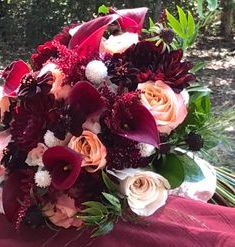 Bridal bouquet includes Burgundy dahlias, Burgundy mini calla lilies, astilbe, chocolate cosmos, Shimmer roses, Burgundy scabiosa and mixed greenery designed by Flower Girlz Inc., Fort Walton Beach, FL. 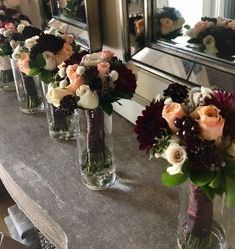 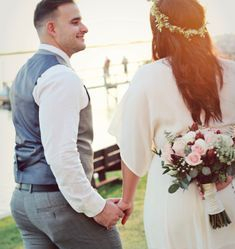 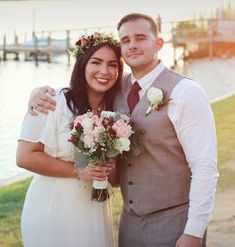 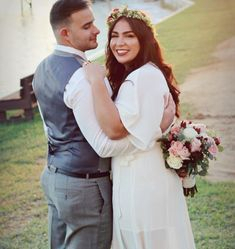 Bouquets include Burgundy dahlias, Early Grey & Shimmer roses, Burgundy scabiosa, Burgundy hypericum berries and mixed greenery designed by Flower Girlz Inc., Fort Walton Beach, FL.